Shore Excursions are limited in time, so RomeCabs designed a special tour of Rome staring from the cruise port of Civitavecchia that offers you the opportunity to see as much of the Eternal City as possible. This tour highlights the most exciting ancient monuments such as the Colosseum, Circus Maximus, Roman Forum and the Pantheon, famous squares such as the Spanish Steps and Trevi Fountain, the awe inspiring Saint Peter's Basilica, and the masterpiece-filled Vatican Museums. Your professional Rome Cabs Driver will meet you on the pier next to your ship at 7:30 AM with a sign bearing your name, and you will be returned back to the pier at approximately 5:00 PM. Post-Cruise Tours: Does shore excursion start from your ship in Civitavecchia and end at your hotel accommodation in Rome? Visit our popular Post-Cruise Shore Excursion option. If you wish to book your tour starting and ending at your hotel accommodation in Rome, click HERE to book. The leisurely drive from the Civitavecchia Port to Rome takes approximately 90 minutes, and along the way you will have the opportunity to admire the lush Etruscan land of Lazio as the driver explains many of the things you will see during your drive. 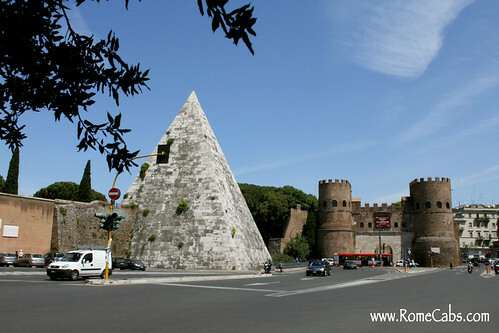 When we arrive in Rome, you may have the opportunity to drive past the Roman Pyramid built for Caius Cestio. It is not open to public visits, but beautiful to admire while passing by. Due to its incorporation into the city's fortifications, this pyramid is one of the most well preserved ancient buildings in Rome today. The pyramid was built about 18 BC-12 BC as a tomb for Gaius Cestius Epulo, a magistrate and member of one of the four great religious corporations in Rome, the Septemviri Epulonum. The pyramid was made of brick layered over concrete and then covered with slabs of white marble standing on a travertine foundation. The pyramid measures 100 Roman feet (22 m) square at the base and stands 125 Roman feet (27 m) high. At the time of its construction, the Pyramid of Cestius would have stood by itself out in the open since tombs were forbidden within the city walls. During the Imperial Period, Rome experienced phenomenal growth and by the third century AD, the pyramid would have been surrounded by buildings. Its true provenance was clarified by Pope Alexander VII's excavations in the 1660s, which cleared the vegetation that had overgrown the pyramid, uncovered the inscriptions on its faces, tunneled into the tomb's burial chamber and found the bases of two bronze statues that had stood alongside the pyramid. The pyramid was an essential sight for many who undertook the Grand Tour in the 18th and 19th centuries. It was much admired by architects, becoming the primary model for pyramids built in the west during this period. 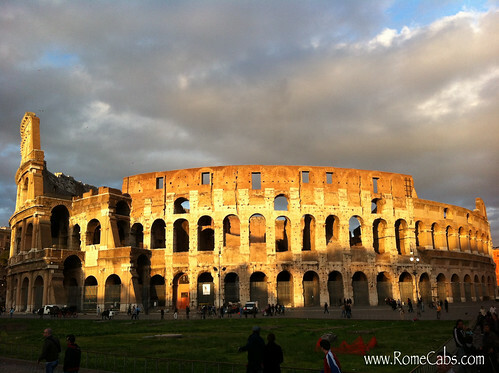 Our next stop will be at the Colosseum, the greatest ancient amphitheater in the world and the iconic symbol of Rome. After 2,000 years of use, neglect, quarrying for building materials, and natural disasters, this breathtaking monument continues to stand proud, testament to Ancient Rome's advanced engineering and architecture. As you step inside for your visit and follow the footsteps of the ancients, allow your imagination to wonder what this impressive arena must have been like in its marbled glory, where emperors and senators along with the populace totaling more than 50,000 spectators at a time enjoyed spectacles that are beyond anything we can imagine witnessing today. The arena before you witnessed nearly 500 years of gladiatorial fights, beast hunts, public executions, theatrical reenactments, and various sports for the enjoyment of millions of cheering spectators that gathered like confetti on the tiered seats. After 1 hour of visiting the Colosseum, our next stop will be the nearby Circus Maximus, the largest ancient stadium in the world where life defying chariot races were held for the pleasure of more than 150,000 Roman citizens and royalty at a time. Listen closely and you can almost hear the roar of the crowds and the galloping of the horses’ hooves as they race for the finish. Majestically sitting behind the stadium, you will see the Palatine Hill where the villas and the domus’ of the emperors were built. A domus was the form of house that wealthy and some middle class families owned in ancient Rome and could be found in almost all of the major cities of the Roman Empire. Next stop will be at the top of the Capitol Hill (Campidoglio) from where you'll admire the best view of the Roman Forum, part of the Palatine Hill, and the Colosseo in the distance. This is also a very popular spot to take amazing photographs. Next to the Capitoline Hill is Piazza Venezia where you will see the Vittorio Emanuele Monument, dedicated to the first king of Italy. The monument is built of pure white marble from Botticino, Brescia, and features majestic stairways, tall Corinthian columns, fountains, a huge equestrian sculpture of Victor Emmanuel and two statues of the goddess Victoria riding on quadrigas (a chariot drawn by four horses abreast). The structure is 135 meters (443 ft) wide and 70 meters (230 ft) high. If the quadrigae and winged victories are included, the height is 81 meters (266 ft) The base of the monument houses the museum of Italian Reunification. At the time the monument was built, it was controversial among Romans since a large area of the Capitoline Hill was destroyed along with a medieval neighborhood for the sake of building it. Romans regard the monument as pompous and too large. It is clearly visible to most of the city of Rome and is boxy in general shape and lacks a dome or a tower. The monument is also blindingly white, making it highly conspicuous as it sits among the ochre buildings surrounding it. Its stacked, crowded appearance has caused it to be saddled with several nicknames from "Zuppa Inglese" and"the wedding cake", while Americans liberating Rome in 1944 labeled it "the typewriter", a nickname also adopted by the locals. Even with all of this criticism, the monument still attracts a large number of visitors, and tourists typically enjoy seeing it. Our next destination will be the Pantheon, once the temple of all Roman gods. It then became a church and burial place for kings and notable artists. It is the best preserved of all ancient Roman buildings, and perhaps the best preserved building of its age in the world. The Pantheon is the oldest standing domed structure in Rome as well as in continuous use throughout its history. 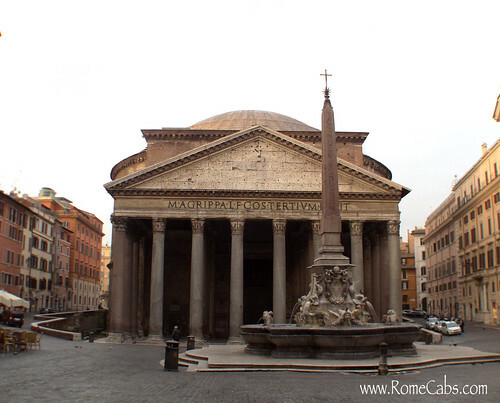 Since the Renaissance, the Pantheon has been used as a tomb. Among those buried there is the famous painter, Raphael. In the 15th century, the Pantheon was adorned with paintings: the best-known is the Annunciation by Melozzo da Forlì. Architects, like Brunelleschi, used the Pantheon as inspiration when designing the dome of the Cathedral of Florence. Don’t be surprised to see a bird or two flying through the building. The Oculus (Latin for ‘eye’) at the top of the dome has always been open to the weather, allowing rain to enter and fall to the floor, where it is carried away through drains. 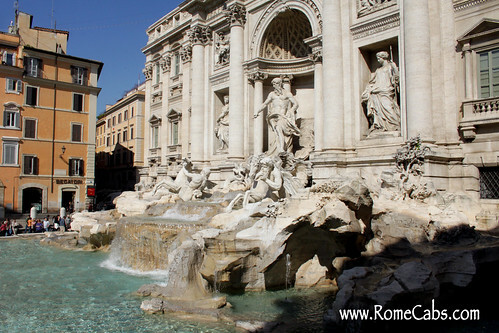 We then make our way to the famed Trevi fountain, the largest Baroque fountain in the city. Legend has it that if visitors throw a coin into the fountain, they will be assured a return to Rome. The Trevi fountain was also the setting of the well known movie Three Coins in a Fountain. Many people, however, are unaware that the "three coins" of Three Coins in the Fountain were thrown by three different characters. The current interpretation is that two coins will lead to a new romance and three will ensure either a marriage or divorce. Another current version of this legend is that it is lucky to throw three coins with one's right hand over one's left shoulder into the fountain. The fountain is also the setting for an iconic scene in Federico Fellini's film La Dolce Vita. Approximately 3,000 Euros are thrown into the fountain each day and are collected at night. The money has been used to subsidize a supermarket for Rome's needy. Our next stop is the famous Spanish Steps with its 18th century winding steps that connect the square below to the French church of Trinita dei Monti above. The Obelisk Sallustiano, erected in 1789, is a smaller version copy of the large Egyptian obelisk belonging to Pharaoh Ramses II that is the centerpiece of Piazza del Popolo. Below is the early 1600’s Baroque fountain, “Fontanna della Barcaccio”, or “The Fountain of the Old Boat”, a type of shallow boat popular for carrying wine to the port of Ripetta. The unique fountain is credited to Pietro Bernini, the father of the famous Gian Lorenzo Bernini. As you begin to climb the Spanish Steps, the corner building on your right is the house where the famous English poet John Keats lived and died in 1821. The name Spanish Steps was given after the Spanish Embassy that was permanently located there in 1647, and it later became the Spanish Embassy to the Holy See. Afterwards we will stop for a quick traditional Italian lunch. After lunch, you will visit the tiniest country in the world, the Vatican. Inside the Vatican Museums, you will be amazed and delighted at the vast collection of masterpieces, including the Raphael Rooms and Michelangelo's famous Sistine Cieling masterpiece inside the Sistine Chapel. The Vatican Museums is one of the three largest museums in the world with a labyrinth of galleries and halls that can be very confusing. Please notify us in advance if you prefer a private tour guide because during peak travel season they get booked quickly. Private Vatican Guides are highly recommended for shore excursions when time is of essence and is a convenient way for you to see the most important pieces of art in the Museums, visit the Sistine Chapel and St Peter's Basilica and walk away with a wealth of knowledge and precisely on time for your departure back to your ship. For more information on a private Vatican Guide, please read the Tips and Please Note section on this page. 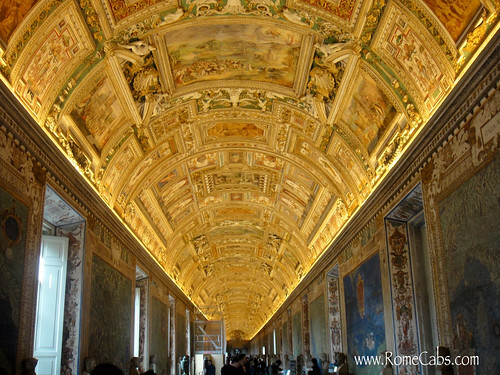 It takes two hours to visit the Vatican Museums, The Sistine Chapel and Saint Peter’s Basilica. Most visitors to the Vatican Museums don't want to miss the opportunity to visit the Raphael Rooms and the Sistine Chapel, the more popular areas in the museum. Your final stop will be inside the largest church in Christendom: Saint Peter's Basilica where you will have the opportunity to spend a moment in peace and contemplation inside this holy church that sees thousands of pilgrims a day, and admire the awe-inspiring architecture and works of art by Michelangelo (the famous Pieta as well as the Dome of the basilica), and Bernini (the bronze baldacchino towering over the altar). From here your personal Driver will take you on a relaxing drive back to your ship in Civitavecchia. Thank you for choosing Rome Cabs Limousine Service for your Tours and Shore Excursions. We look forward to seeing you soon in Italy! Guests who booked this Rome in A Day Shore Excursion from Civitavecchia, also booked "Pompeii, Sorrento and Amalfi Coast" Shore Excursion from port of Naples, and "Pisa and Florence" from the port of Livorno or La Spezia. * The price of this Rome in A Day Tour includes private deluxe vehicle with a professionally licensed English speaking Driver, Italy VAT tax, fuel, insurance, and parking fees and all road expenses necessary to provide the service..
* The price of this Rome in A Day Tour does not include entrance fees, lunch, gratuities, private tour guides hired separately, or other client personal expenses. Payment for the tour will be made in Euro funds at the end of your journey. You may also prepay in advance via PayPal if you wish. Just let us know by email if you wish to pre-pay for your tour. We do not accept credit card payments. Italy has strict laws and regulations in place to protect licensed tour guides, this it makes it unlawful for Tour Driver to act as a tour guide or accompany guests near or inside monuments, museums, or piazzas. * Your driver will be obliged to remain with the vehicle while you are sightseeing. * Your driver will drop you off as close as possible to the sites you visit in accordance to Traffic Regulations and Municipality Laws. Price of Colosseum standard Admission Tickets booked online is 14 Euros per person. Please purchase your tickets to the Coliseum in advance at the link below. If you are from the United States, select "Stati Uniti"
Please note the Vatican Museums is closed on Sundays. In such event, or in event other monuments unexpectedly closing without notice, your itinerary will be adjusted or visits will be substituted with other exciting places in Rome. Price of Vatican Museums Admission Tickets with no line booked online up to 60 days in advance at 21 Euros per person. The Vatican may change advance purchase time frame without notice. Please book your admission tickets for the 2:00 PM time slot. Please be sure to print your ticket vouchers at home to bring with you as it's required in order to convert the vouchers into tickets. Once booked, the tickets are Non Refundable. If you are a group of 7+ persons and you wish to book a Vatican Guide, please reserve your Vatican Museum tickets at 1:30 PM time slot as the Vatican requires ear phones for groups larger than 6 persons for both the Museums and St Peter's Basilica, and additional time is required to obtain the ear phones. If you would like to reserve a personal English speaking licensed guide to provide you with a private tour of the Colosseum/Roman Forum and Vatican Museums and St Peter's Basilica, please indicate by checking the GUIDE option on your booking form. 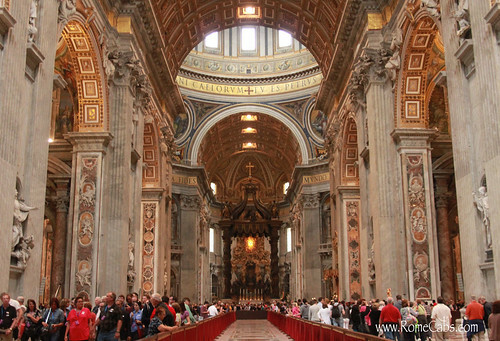 Payment will be made directly to your private tour guide at the end of the Vatican tour. 150 Euros for a group of 7-8 people. Payment will be made directly to your private tour guide at the end of the Colosseum/Roman Forum tour. IMPORTANT TOUR GUIDE DISCLAIMER: Private licensed tour guides are provided by My Rome Guides and are not employees or affiliates of Rome Cabs as they operate independently as a separate entity. We only place the reservation for private guided tours that are provided by My Rome Guides on your behalf as a complimentary service for our clients. We receive no compensation or benefit in any way from the hired guides for booking their services for our clients. We recommend their services based on their lawful qualifications, expertise, professionalism and reliability and we have no control of the style of tours they provide. If you already have in mind a licensed guide you would like to use, let us know and we will gladly place the reservation on your behalf as a complimentary service.. Your Driver will meet you on the Pier by your ship holding a sign with your name. Please do NOT take the cruise shuttle or leave the pier area. Don’t worry, we do not ask for your personal credit card information, require advance payments, or penalize you for cancellations. We operate on the honor system, so we kindly ask that cancellations be made at least 7 days in advance so we have the opportunity rebook your service and your reserved driver does not lose work for that day. Cancellations must be made via E-Mail. Cancellations cannot be accepted by Phone, Text Message, or 3rd party. Thank you for your understanding and cooperation. Be sure to arrange for your advance NO LINE COLOSSEUM TICKET VOUCHERS to avoid long wait line. See the Please Note section for more information. We suggest to bring a bottle of water and use sunscreen because in the warmer months it becomes quite hot and sunny inside the Colosseum. A hat to protect your head and shade your face is also recommended. The Colosseum has it at its discretion to prevent visitors from carrying large backpacks or purses inside the monument. IMPORTANT NOTICE: Clearing security is required of all visitors, including ticket holders. The security checkpoints can create long lines and wait times of 1 hour or more! For this reason we recommend the earlier morning pick up in order to arrive to the Colosseum as early as possible before the security lines become too long. Should you still find long wait times at the Colosseum, we suggest other alternatives for a more relaxed, less crowded options for a more enjoyable visit experience. 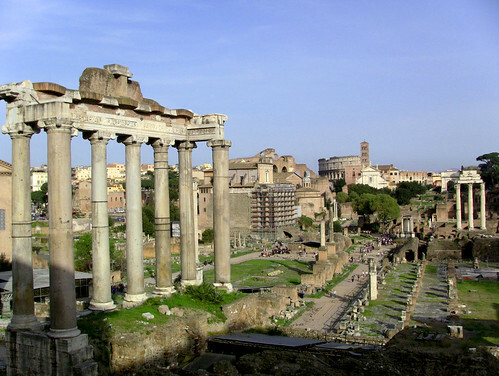 The nearby Roman Forum was for many centuries the political, commercial, judicial and religious center of the Roman empire. Here you will walk in the footsteps of ancient Romans and among the impressive ruins of once magnificent buildings and temples. You can use the same Colosseum tickets to enter the Roman Forum. One of the Seven Wonders of Ancient Rome, the Baths of Caracalla are a 3rd century AD imperial bath complex that covers 62 acres and built during the reign of Roman Emperor Caracalla. During its peak, it accommodated up to 1,600 bathers. These impressive and towering ruins are vestiges of the the grandiose Roman Empire. Admission Tickets are currently 6 EUROS per person and can be purchased on site upon arrival. 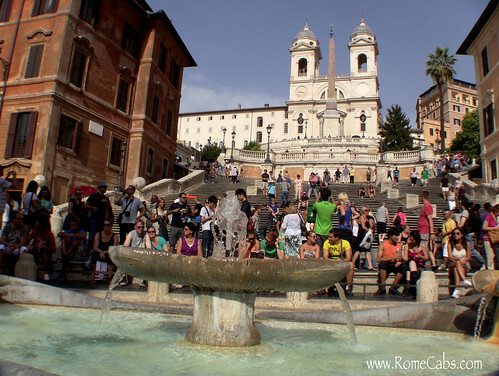 The area around the Trevi Fountain and Spanish Steps are often very crowded, more so during the peak travel months. Please be aware of your surroundings and keep your belongings close to you at all times. Do not accept ‘gifts’ from street vendors approaching tourists. They may offer you roses or other gifts, but you will be expected to pay or give a tip for them. There is no dress code for visiting the Vatican Museums, but there is a dress code to enter the Sistine Chapel and St Peter’s Basilica (please see below in the St Peter’s Basilica tip section). Photography and videography is permitted throughout Vatican Museums, with the exception of light sensitive areas where flash photography is not allowed. Photography and videography are strictly forbidden inside the Sistine Chapel. Photography is allowed in St. Peter’s Basilica because most of the immense artworks are made in the mosaic style which is not harmed by photography or flash. The Vatican has the largest mosaic school in the world. If you would like to see the original paintings that were used to complete the mosaics in St. Peter’s, you can see them in the Pinacoteca room (or picture gallery) in the Vatican Museums. SHOULD YOU BOOK A PRIVATE VATICAN GUIDE? To optimize your visit to Vatican City, we highly recommend a professional English speaking tour guide as he or she will provide valuable information on the most significant works of art in the museum and St Peter’s Basilica, many which are easily missed without guidance. The Vatican Museums is one of top three largest museums in the world with a vast labyrinth of galleries and halls that can be very confusing to a new visitor. It is also only with a licensed tour guide that you may take advantage of the convenient and time saving shortcut from the Sistine Chapel to St Peter’s Basilica. Please read in the "Please Note" section on how to book your Vatican Tour Guide. Please remember to dress appropriately for the St Peter’s Basilica: no bare shoulders or bare knees. Capri-type pants are completely acceptable for ladies and men can wear shorts if they are long enough to cover the knees. 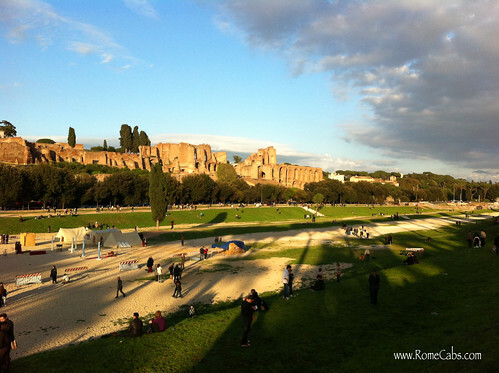 We booked a Rome in a Day Tour after taking a Royal Caribbean Tour. Jian Luca was our guide and he did a great job! He arrived early in the port in Civitevecchia and the tour started with some history. There is a lot to see in Rome and he planned the trip so that we would be able to see all in a timely fashion. He also gave us some information about each of the sites we saw. I highly recommend this company. The van was clean. Jian Luca was professsional and punctual. Excellent!